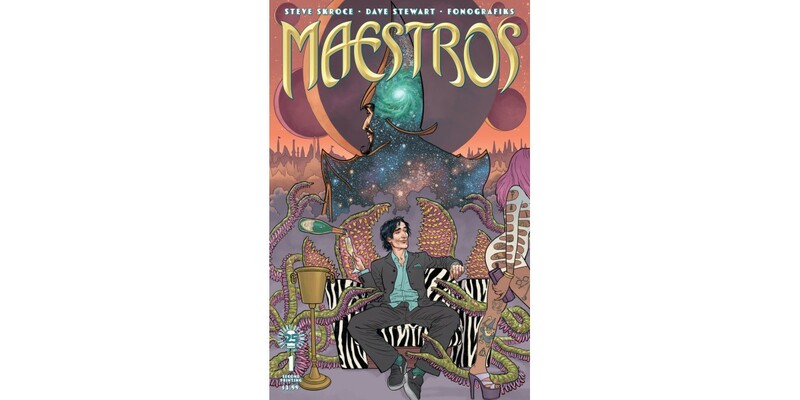 Image Comics is very pleased to announce that the first issue of MAESTROS, the new irreverent fantasy series from The Matrix storyboard artist Steve Skroce (WE STAND ON GUARD), will be rushed back to print in order to keep up with customer demand. The Maestro and his entire royal family have been murdered, and his banished son from Earth suddenly inherits the Wizard King's throne along with a spell that turns its user into GOD. With enemies everywhere, will this Orlando-born millennial be able to keep his new magic kingdom? MAESTROS #1 will remain available for purchase across all digital platforms, including the Image Comics website (imagecomics.com), the official Image Comics iOS app, Comixology’s website (comixology.com), iOS, Android, and Google Play.